Tired of wasteful printing? 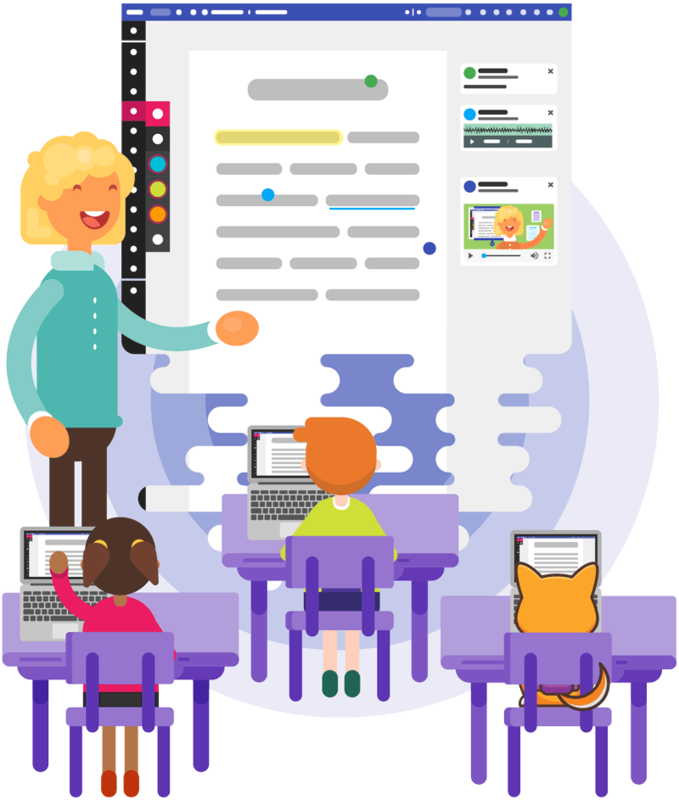 Teachers save valuable time by using Kami, enabling them to enhance workflow and collaborate with their students in real time. Students engage with Kami's user-friendly and vibrant interface, encouraging creativity as they learn. Enjoy a seamless experience with Google Drive Auto-Save feature. Get all the essential tools without the high price point. With Kami, schools and districts cut down on printing costs while saving the environment. Access the Kami web app in Chrome, Firefox, Safari, Internet Explorer and other browsers. All you have to do is sign in. Do you use G Suite in your school or in the office? Kami is one of the most popular and highest rated apps in the G Suite Marketplace. Enjoy using our highly-rated Google Chrome Extension when using Google Chrome or when using a Chromebook. Improve workflow in the office with Kami tools, including our popular Split and Merge Tool. Haven't used Kami before? Get started with our free Basic Plan.